Hi everyone! 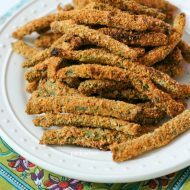 Amanda here from Old House to New Home with a recipe that I am so excited about! 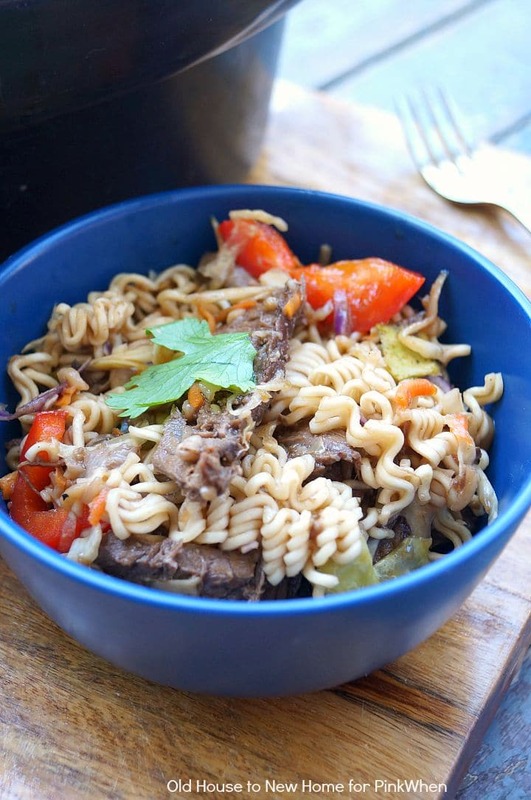 I did something crazy and decided to try something completely new in my slow cooker. 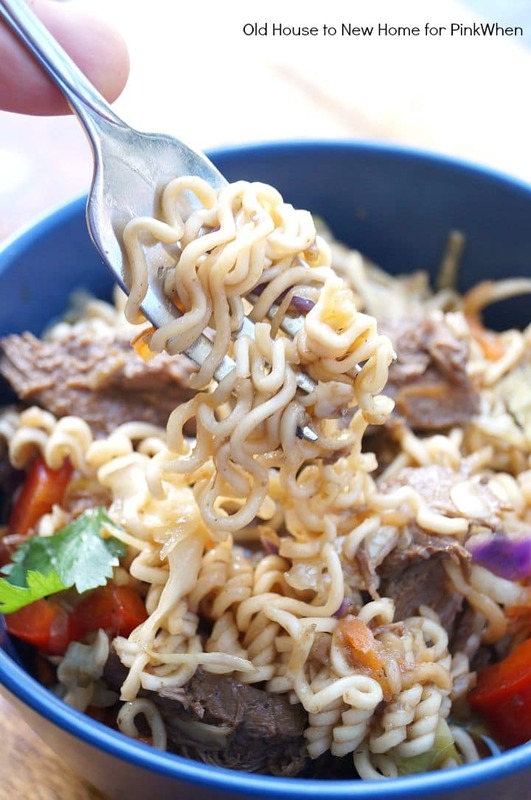 Usually I slow cook meats or soups, but I wanted to do something light and still summery, thus these Slow Cooker Asian Beef and Ramen Bowls were born! 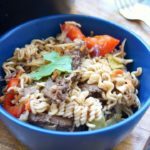 I have never made noodles in my crock pot and had no idea how they would turn out, but I was so happy to find that they cooked perfectly! 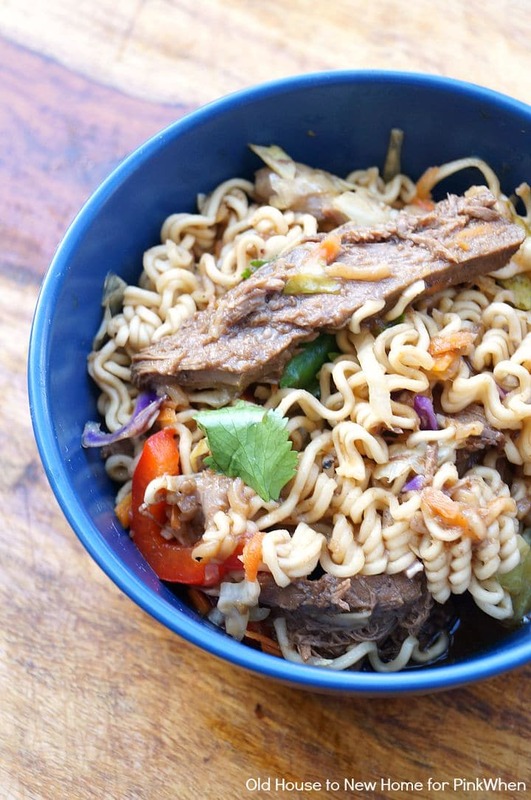 The noodles, paired with crunchy cabbage, slow cooked beef, veggies, and a rich beefy broth, made for the perfect late summer dinner in our house! 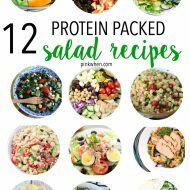 This is a make ahead dish that you can prep the night before or in the morning before work, so this is the perfect back to school dinner for those busy nights ahead. Make sure you don’t add the ramen noodles or cabbage until half an hour before serving or you will have very soggy noodles and veggies. The cabbage provides a great textural element, so you don’t want to overcook it. I loved this topped with some spicy sriracha sauce, and I really think that is what took this dish from great to fantastic, so if you are a fan, make sure to add some! 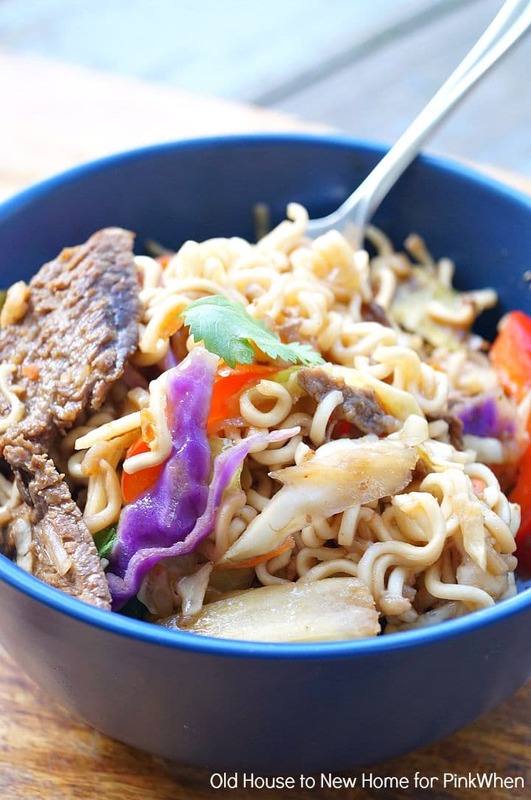 Delicious and easy slow cooker Asian beef ramen bowls. Cover meat with chicken broth. If the two cups don't cover the meat completely, add water to cover. For serving, add the cilantro to the pot and then scoop out a big helping of meat and veggies and place on the bottom of your bowl. Using a ladle, scoop the broth out of the pot and pour over the meat and veggie mixture. This looks delicious, I will have to try it! I am always looking for simple ways to make delicious dinner. 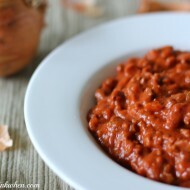 I love to cook but I don’t have a ton of time so slow cooker recipes are amazing!